This blog is dedicated to promoting honest, truthful and authentic discussions about life’s biggest questions. This site is inspired by and respectful to k.d. lang, the inspiration and trail blazer for many of us. k.d. you are truly loved and respected and we hope that you too will contribute to these discussions as time allows. It is well known that you believe yourself to be a “low brow” Buddhist, and while this may be true in juxtaposition to some, for many of us your example is how we begin our journey. We respectfully ask you to set aside this characterization of yourself, and allow yourself to be seen for the authentic, truthful and honest example that you are. Of course, we all understand none of us is perfectly any of these things. But what this blog wants to honor, is your attempt to make a difference by making people aware of another way of living. We all become more authentic and more in touch with our true selves when there is dialogue. kd, you have started a dialogue and we want to provide a place for it to become alive. Many of the posts here provide an alternative analysis of k.d. lang’s work, and show how they promote access to spirituality. Other posts are related to k.d. only because she inspired them. Update: This blog is now 3 years old, and k.d. has been tolerant and patient as I yammer on about this and that. This is my public statement of appreciation to you. 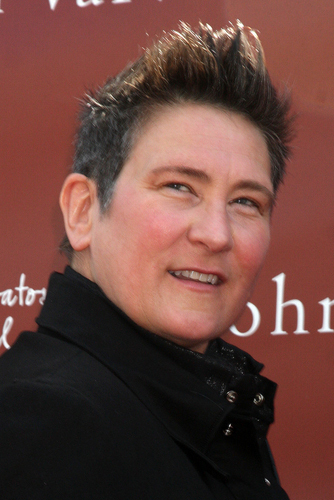 photo of k.d.lang purchased from Shutterstock and used with editorial permission.